Back in my callow youth, I was a Duck. Youth? Seems like it now, but my late twenties. The first time I had to deliver a lecture to a section of 300 undergrads, I was also a chicken. Have no more than 3 main points and hammer them home. Paint your fingernails the most lurid shade you can find. Lulu was the students’ affectionate nickname for Dr. Bishop. It was a version of her given name but also characterized much of the subversive wisdom she dispensed. She’s one of the smartest people I’ve ever known. Her theory with the vivid fingernails had two parts: there was the obvious audience-distraction factor as you gesture and point; and the less obvious internal-silliness check. She really wanted us to remember that one lecture didn’t make or break us. Wave them off in the passive voice and with ridiculously garish digits. I’ve spent the last ten or so years trying to hide my hands. I wish I had my sister’s elegant fingers or my son’s talented fingers. I have my darling mom’s arthritic fingers. They work; they’re competent, and for that, I am grateful. The pain and swelling has even significantly improved, since I went to a gluten-free diet. I still don’t want to call attention to them. So it’s easy to get rid of the attention-getting gloves featured today. 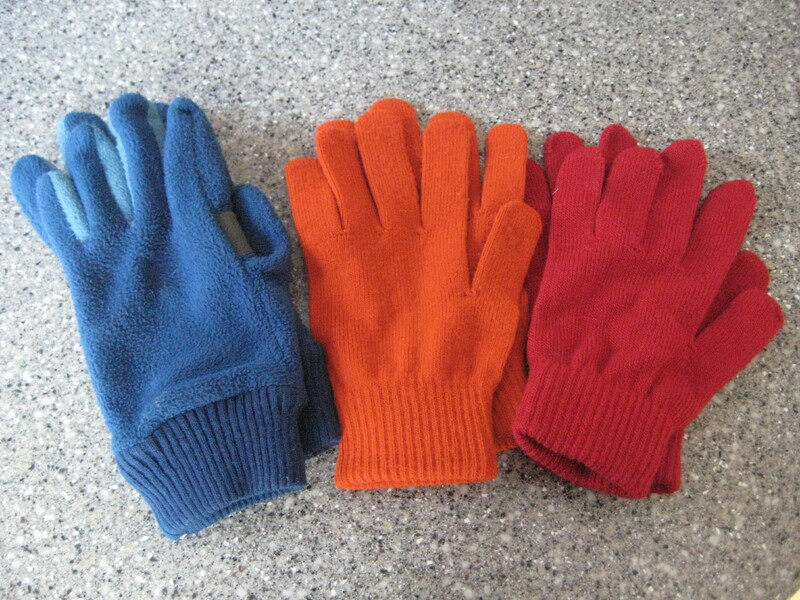 Plus, I live in Chicago, where cute little knit gloves are just plain foolish. And there’s a big difference between a Lulu and a fool. It’s nice to know that my orange nail polish will come in handy one day.